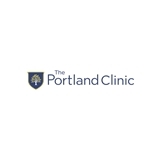 The Portland Clinic - Tigard Orthopedics and Sport (Portland) - Book Appointment Online! Michael Cunningham is terrific! He listens, offers options, and is empathetic. I highly recommend him! Good visit,got all y questions answered. Dr. Hwang was extremely thorough on answering my pre op visit questions. He was our 3rd opinion and he made me feel at ease. If you follow his advice you will recover in a shorter amount of time. The follow up and P.T. was xlnt.